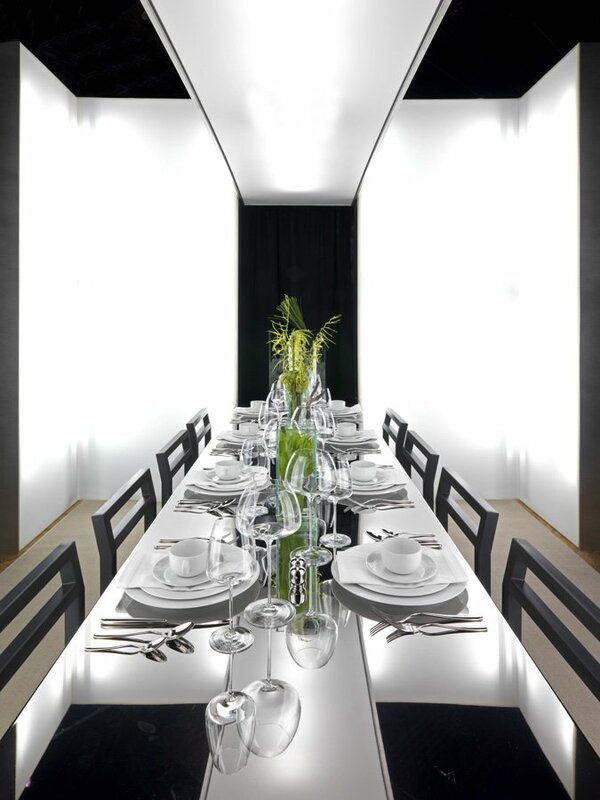 Each year, Design Industries Foundation Fighting AIDS calls on major designers to create dining installations for fund-raisers. DIFFA is an opportunity to explore unconventional design and fabrication processes—an annual laboratory for innovation. The 2007 installation tells the story of a metallic protective skin, behind which lies a glowing light of hope and a decadent feast. The project explored technologies of cutting and folding metal screens that were then assembled into a luminous partition, stretched with latex for the diffusion of light.